World Book Day was great fun and we all dressed up as our favourite book characters. 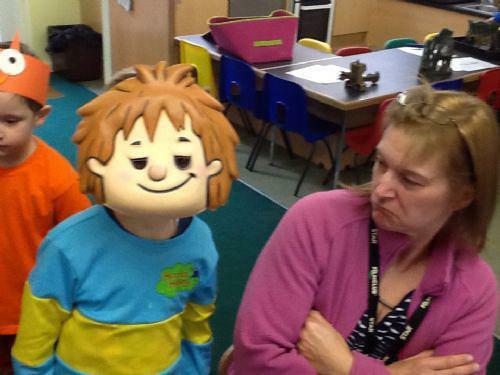 Look at Moody Margaret with Horrid Henry! Who else can you spot in the photographs? We met up with our reading buddies and shared some stories with them. We really enjoyed looking at the books from the Book Fair. We read "The dinosaur that pooped the past," and thought that it was really funny! We met up with our reading buddies in Snowy Owls. It was great fun and we enjoyed sharing stories with them. 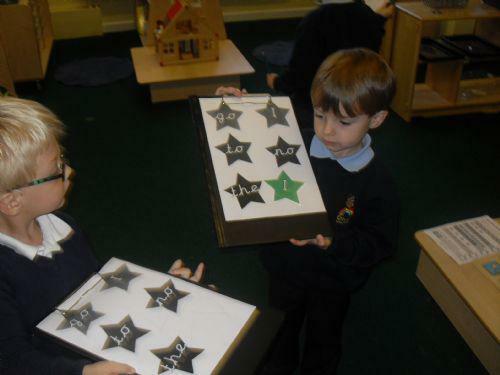 All the Reception children had lots of fun on their tricky word hunt. 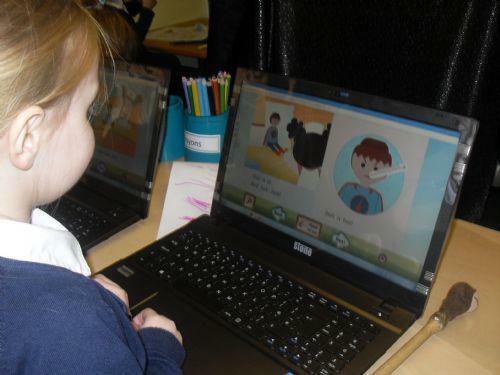 Reading on bug club is fun. We read a book called "Doll is ill".